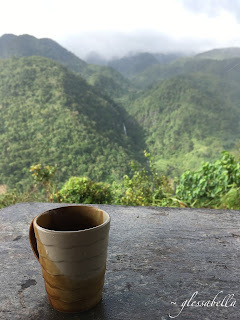 In January, I was blessed with a much-awaited and well-needed trip home to Philippines. It had been a little bit over 4 years since my last trip there. As much as I love my homeland, it's not exactly cheap enough for me to go every year or two, so every trip I make is a treasured one. This one, however, was particularly special. It was the first time I travelled to another country just for a wedding. Not being a person who's been to many, it was incredibly exciting. I saw my relatives again: most of my cousins, grandparents, uncles and aunties - old and new. As if this wasn't great enough, the wedding was in Tagaytay which meant a whole lot of picture-taking! I was fortunate enough to go to Batangas and Lakawon Island in Negros too! Philippines is filled with beautiful places to visit... you know... all those ones that you see piling up on your Facebook feed? Yeah. But let's cut to the chase. No way we can deny another undoubtable reason why Philippines should be on your travel bucket-list... THE FOOD. I may be biased, growing up with Filipino food and all, but seriously - the food is incredible. Not only do we love our vinegar based ulam and marinated meats, but our desserts are heavenly too. Without further ado, here are only 5 of the foods you should eat in the Philippines... unfortunately most of them aren't vegetarian-vegan friendly. Sorry - we love our meat! This may look like a mess, but it's such a satisfying eating experience! 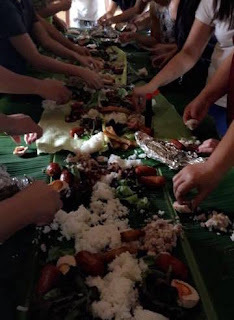 The great budol fight is actually a military way of eating where a long table is lined with banana leaves and filled with food. The best part is there's no cutlery! You eat with your kamay... your bare hands! That might not sound that difficult, but it's actually not as easy to eat with your hands as it sounds. It's an art that is learnt. This way of eating is a great way of diving right in and devouring tasty food with friends and family! Some of the food could include grilled chicken, salted eggs, fish, lip-smacking Philippine mangoes, and, obviously, heap loads of rice! Boodle fight is definitely a unique experience you shouldn't miss out on if you're ever in the Philippines! Don't be afraid to get your hands dirty! And don't worry about feeling unhygienic: as filipino etiquette goes, you'll likely be forced to wash your hands before and after. Us Filipinos sure like our banana leaves. This dish is by far one of my favourites. Chicken inasal is marinated chicken portions that are roasted than grilled over hot coals while basted in its garlic, pepper, vinegar and citrus marinade. My mouth is watering. 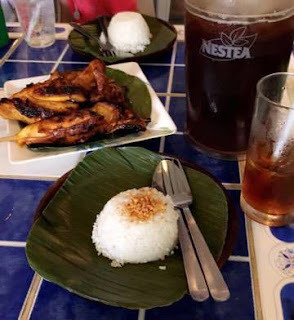 Inasal is best had with fried garlic rice, as pictured above, or java rice, which uses turmeric, with bottomless glasses of iced-tea to cleanse your tastebuds, ready for the next portion! If I could eat this endlessly, I would. I personally think this dish is best had in Bacolod, Negros, because 1. it originated there, and 2. it's flawlessly made. Otherwise you can try inasal in more popular cities, like Manila, at Mang Inasal restaurants! Last time I checked, rice is unlimited! 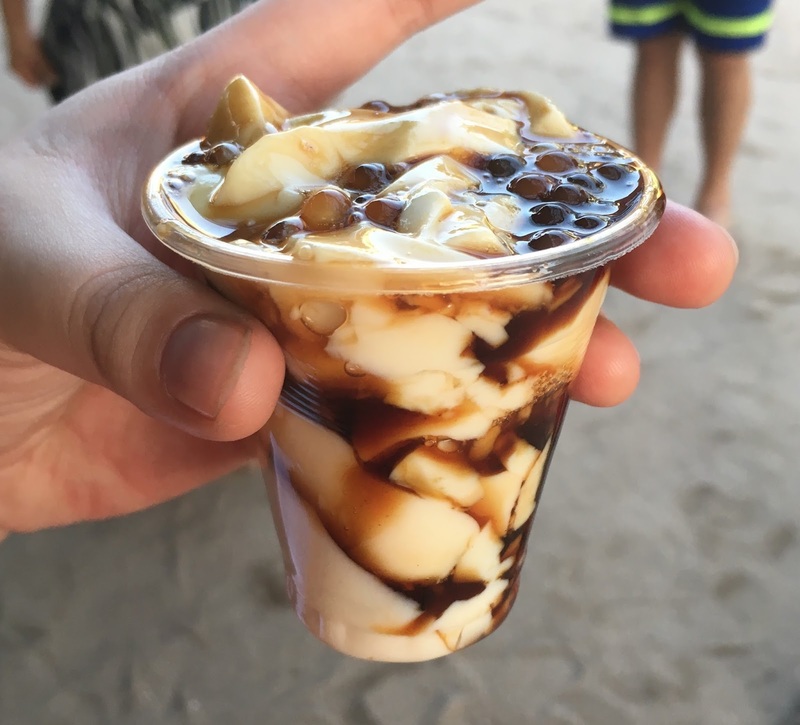 Taho is just so beautiful. Just LOOK at that! Taho is made of silken tofu with sago pearls that are all happily floating in tantalisingly sweet arnibal (sugar syrup). You'll usually find this dessert served on the street by hard-working men who make the tofu fresh every morning. It's a warm, comforting dessert that you'll want more and more of. And guess what? You can get a cup of this yummy dessert for under 50p!!! I guarantee you, especially if you go to the beaches in Philippines, there is no way you won't be able to eat taho. You'll almost always wake up to a man shouting "TAHOOOOO" in the early hours of the day. Nothing beats the street food in the Philippines. You'll find street food everywhere, but nothing quite compares to buying ice-cream from a silver trolley at the side of the street. 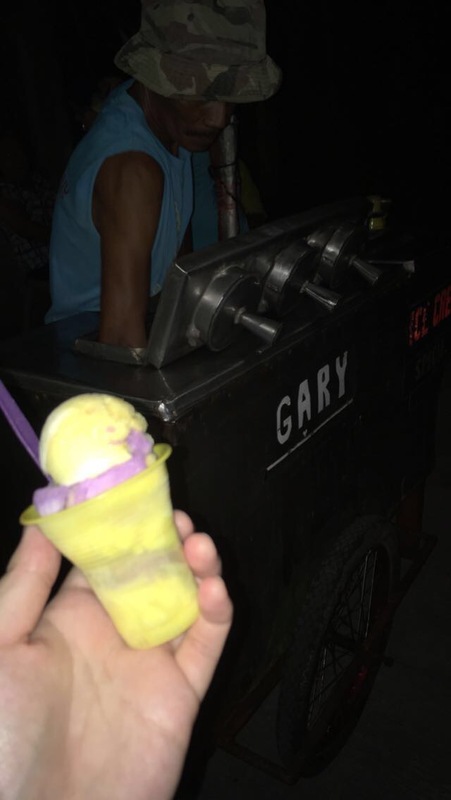 Don't be put off by the "dirty" in the name, it's just a way of saying that the ice-cream is served outside in the scorching heat of the Philippine sun. Chances are the ice-cream you'll be served is homemade with loads of lovely flavours, from your typical chocolate flavour to ube (purple yam) and even queso - cheese! Again, you can get a cone or a cup filled with different flavoured scoops for under 50p! Why haven't you booked your flight yet? THIS IS A MUST! You can't leave Philippines without indulging in the over-commercialised and advertised Jollibee fast-food! 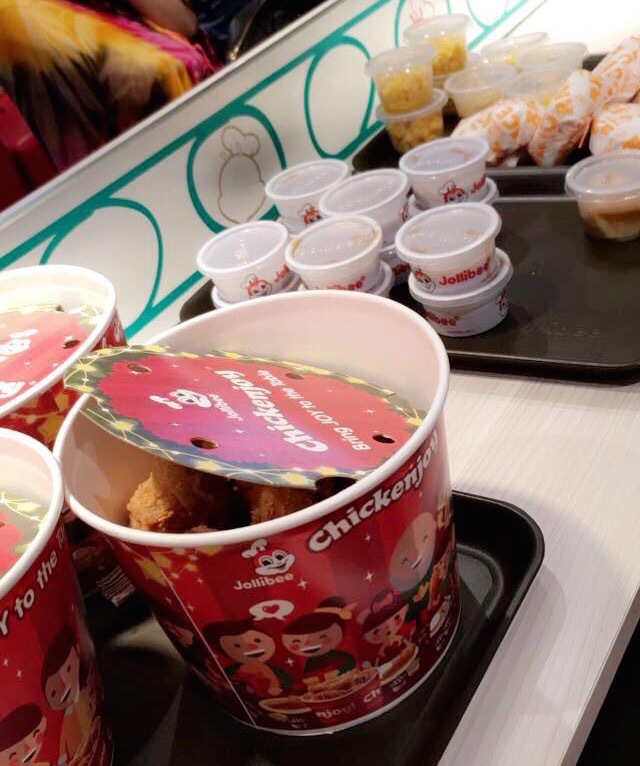 Chickenjoy, spaghetti, burger steak and gravy... Jollibee may be commercial, but it's definitely a guiltily pleasurable experience. The fried chicken recipe is just too perfect. Again, this isn't something you can avoid because it's literally everywhere. It's hard to drive by a place where there's civilisation without seeing that smiling red bee. Trust me on this: the first bite is always the best, so savour the moment. Oh, how I miss it all. These are only very few foods that you need to try in Philippines. There are so many delicious local dishes depending on which part of the country you visit, so do your research before visiting so you don't miss out on any of them! I hope you have the chance to visit my motherland some time in your life. Philippines is definitely worth the time and money!